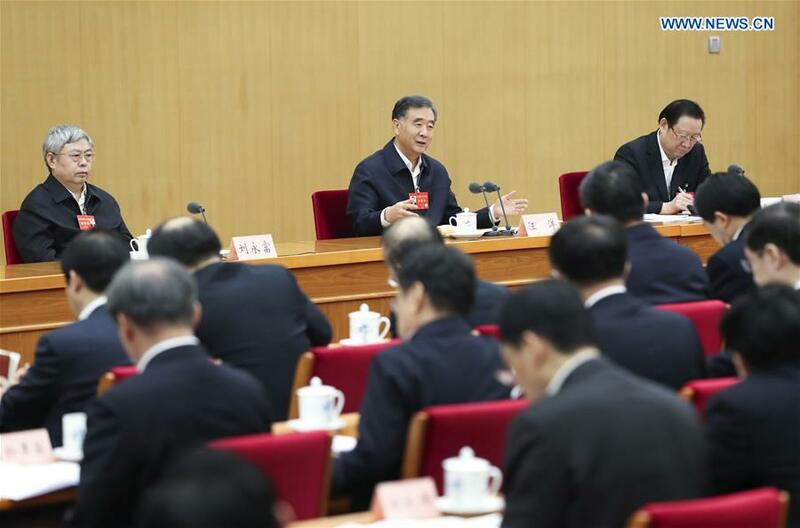 BEIJING, Dec. 29 (Xinhua) -- Chinese Vice Premier Wang Yang has demanded improved measures to win the "tough battle" of targeted poverty alleviation. While presiding over a recent national meeting on poverty reduction and development, Wang said the year of 2018 is a key year for fighting the battle against poverty. The policies and measures on poverty reduction should be improved, he said, stressing the importance of focusing on areas and households severely hit by poverty. Efforts should be focused on the most urgent issues facing the poor, so as to enhance their sense of fulfillment, the vice premier said. He also demanded prioritizing poor regions in the implementation of the rural vitalization strategy. Wang, also a member of the Standing Committee of the Political Bureau of the Communist Party of China Central Committee, is head of the State Council Leading Group of Poverty Alleviation and Development. China has set a goal to complete building a "moderately prosperous society" in all respects by 2020, which requires the eradication of poverty. To achieve that target, China needs to bring more than 10 million people out of poverty every year, meaning nearly 1 million people per month or 20 people per minute.